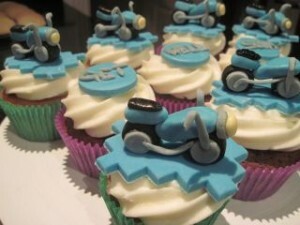 Vicki Hudson creates a range of stunning cupcakes using fresh, local ingredients. Vicki can create almost anything from fondant icing, she has topped cupcakes with everything from handbags to laptops, and her work is especially popular for children's birthday parties. She tells us how she started baking cupcakes and walks us through a typical day in her thriving business. I have a passion for baking and eating cupcakes. 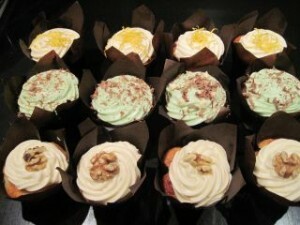 I started making cupcakes and muffins for my husband to sell at his mobile coffee car. As demand increased my hobby soon turned into a thriving business, that was about three years ago. 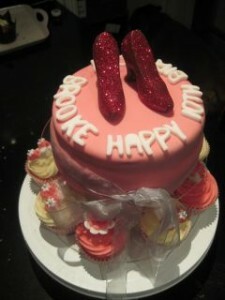 I make everything from cupcakes and muffins to bespoke cakes. A customer can come to me with an idea and I will turn that into reality with sponge and fondant icing. I have made cars, teapots, hand bags and even furniture. There is nothing more satisfying than receiving compliments from delighted customers, it makes the job worthwhile. I start baking at around 6am for that day’s orders. There is nothing better than that just out of the oven texture. I will bake all of the sponge bases in one go before mixing up creamy frosting for the toppings. 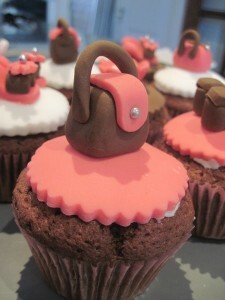 The sugar decorations that adorn the cupcakes can be prepared well ahead. The cakes are then boxed and distributed across the island. Once my baking is done I will check my email, have customer consultations, re-order stock and generally catch up with the paper work. I receive orders from all over the world and accept both local and international payments. Where possible I buy fresh local ingredients and have been known to clear the supermarkets of Jersey unsalted butter. I do get strange looks when I have my shopping trolley piled high with butter, milk and chocolate. The local strawberries last year were the best I have tasted, a fantastic addition to my strawberry shortbread and extremely popular at the markets. 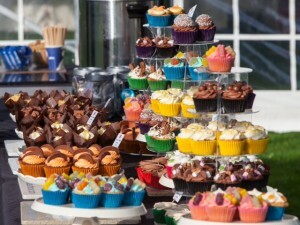 The most popular items are the bespoke cupcakes. I make edible items to go on the top of the cupcakes. They may reflect the person’s hobby, interest or job. Past creations include laptops, cats, wine bottles and motorbikes to name but a few. Popular flavours include lemon melts, rocky roads and my signature cupcake vanilla ice-cream. Cupcakes available by ordering on line www.jerseycupcakes.co.uk or by contacting vicki.hudson@hotmail.co.uk Vicki is a regular stall holder at Farm and Craft Markets around the island during the summer, so look out for her stunning cupcakes.